The coalition MP charged with overseeing a probe into Labor's plan to axe cash refunds for franking credits has poured scorn on the scheme despite admitting he has no modelling to back his criticisms. 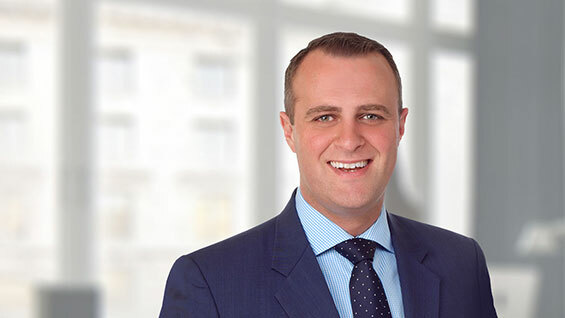 Tim Wilson, former human rights commissioner and member for the Liberal-held Victorian seat of Goldstein, says Labor's plan will distort investor behaviour and reap little revenue. "I'm deeply sceptical," says Wilson, who is chairing the House of Representatives standing committee inquiry into Labor's scheme. 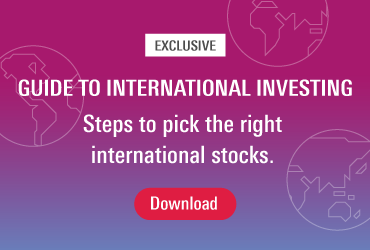 "What you'll simply see is changes in behaviour, the revenue will be negligible, but it will distort the market and reorientate the way people invest, while undermining confidence and creating a two-tier investment system," he says. The first non-metropolitan hearings begin today in Dee Why on Sydney's northern beaches, which borders the federal electorates of Mackellar and Warringah. Currently held by former prime minister Tony Abbott, Warringah will be fiercely fought at the election next May, as Abbott faces increasing opposition from his constituents and new challengers. But Wilson says Dee Why was selected for today's hearings – which have been held in Melbourne and Sydney in the last fortnight – "because it is not ridiculously far out of Sydney, and can bridge that divide between people [who would be personally affected] and the professional organisations". "We wanted to give more people a chance to have their say on the open mic," Wilson says. He believes the broader economic argument has been made, "but the people will put forward a different perspective – what we want to hear is the direct human stories," he says. Despite his criticisms of Labor's plan, Wilson says he is yet to conduct any modelling. 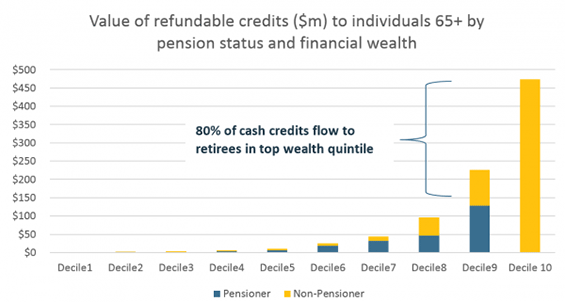 Labor's scheme, unveiled in March this year, references Parliamentary Budget Office modelling that suggests 85 per cent of retired non-pensioner recipients of franking credit refunds are in the top wealth quintiles of households. Two-thirds of these - 66 per cent - have more than $1 million in assets, excluding real estate, and average non-home wealth of $1.6 million as a group average. However, Wilson disputes this claim. "That's an allegation. One of the problems is that the PBO has not released its underlying assumptions," he says. According to Wilson, any member of parliament can request modelling for any policy that they want, "but they get to decide the assumptions that sit underneath it". He says Leyonhjelm hasn't divulged those underlying assumptions. "But actually, I haven't even asked him", Wilson says, adding that he is considering requesting his own modelling from the PBO. "We have to get a whole new set of new modelling exercise done to establish what the underlying assumptions are,” Wilson says. One vocal opponent of the scheme is prominent investor Geoff Wilson, head of Wilson Asset Management. "It's a lie, their claim that it impacts only the wealthy,” he says. “If you have a lot of money in your SMSF, you pay no tax because you use the tax $1.6 million above that transfer balance cap," he says. Wilson says the claims that Labor's revisions could redirect billions of dollars to other parts of the budget "are irrelevant". "I've heard from 3000 individuals over the last week-and-a-half who are all going to change their [investment] behaviour [if ALP's franking credit changes are introduced],” he says. "This is a classic … poorly thought out, highly discriminatory policy that will not achieve any of the objectives set out. "They'll sell their shares and try to get more yield by going into higher risk things like hybrid securities; or they'll sell their shares come dividend, and sell ex-dividend. "That is a flawed comment. Doesn't the Australian government want the lowest cost of capital for Australian companies,” he says. "Or do you want people sending their money overseas? Surely they want more people to invest in Australian companies. 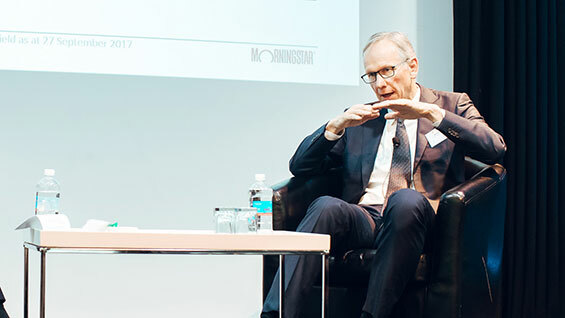 Geoff Wilson says SMSF investors "have been taught equities are the way to go, but now Australia is trying to force them to take on additional currency risk". Depending on the success of today's forum at Dee Why RSL – Tim Wilson says he would be happy if just 30 people attend – further town hall-style meetings could be held in other retiree-heavy communities in the NSW central coast, southeast Queensland and Perth. "We're going to the communities affected, rather than demand they come to us," he says.